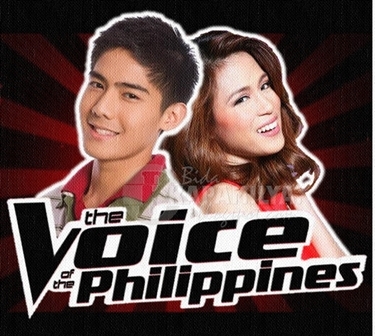 Re: 'The Voice of the Philippines' Audition Dates Announced! Visayas, your voice is about to be heard! After the radio and online auditions, The Voice of the Philippines now opens its on-ground auditions and on February 23 (Saturday), the voice of Visayas will be heard. Auditions will be from 9 AM to 6 PM. Below is The Voice of the Philippines audition schedule venue for Visayas. Sarabia Manor Hotel and Convention Center, 101 General Luna St.
CCB Gym, Leyte Park Resort and Hotel, Magsaysay Blvd. The Voice!Something to look forward to!I'm pretty sure Toni will do well! But you know what,I will be more excited if we can create something our own.Magaling ang mga pinoy!I'm proud to be pinoy!We have great minds in this business!Let's be creative!Marami na po kasi tayong ginaya eh.Deal or no deal,masterchef,minute to win it,etc.etc...Please don't get me wrong I just wanna see something we can call our own!Something with tatak Pinoy! On-ground auditions will also be held in Bacolod, Iloilo, Tacloban, and Cebu on February 23; General Santos, Zamboanga, Cagayan De Oro, and Davao on March 2; and in Palawan, Laoag, Naga, Legazpi, Baguio, Dagupan, and Manila on March 9. It's good to know Robi Domingo is in this show. He has this enormous potential of becoming a full-fledged host than an actor. Some people just have this knack on hosting and he is one of those few. Correct... I prefer him as a host as well. He'll be taking over the reigns of Luis in a few years. Just a big fan of Ryan Seacrest and I've been looking for his Philippine counterpart. I actually consider Boom Gonzales a competent Filipino version but he is not getting any younger and still isn't able to penetrate the mainstream media here so hoping Robi will be it.